Swiss watch brand TAG Heuer has created a numbered limited edition timepiece in tribute to Cristiano Ronaldo, who is already a living football legend and three-time Ballon d’Or winner. 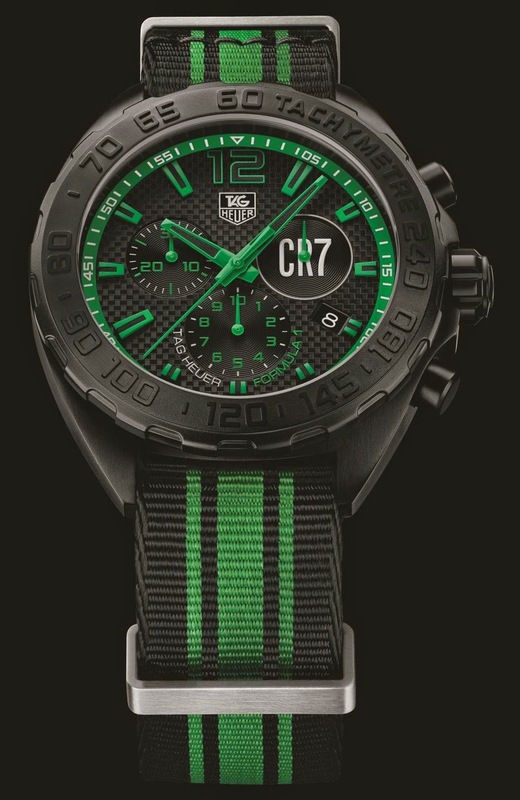 TAG Heuer has chosen a green theme, Cristiano Ronaldo‘s symbolic colour, for creating a special edition Formula 1 CR7 chronograph dedicated to the footballer. Alongside the vibrant green, evoking the grass of the pitch, matt black lends this piece a distinctly assertive character. The green flange, matching the hands and the indices, strikes a bold note against the black chequered dial. 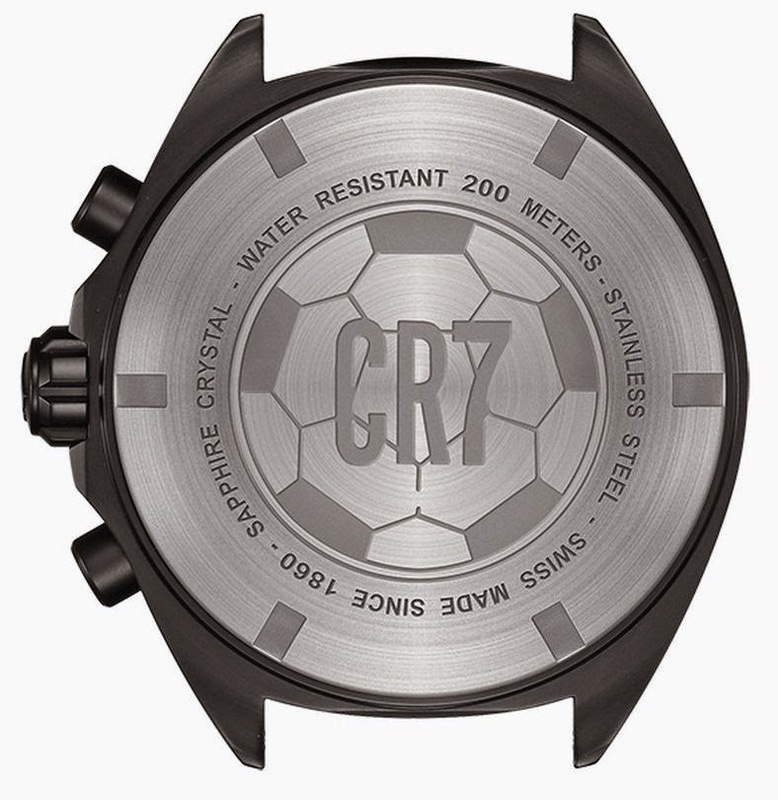 The white TAG Heuer and CR7 logos add a necessary hint of brightness which catches the eye. 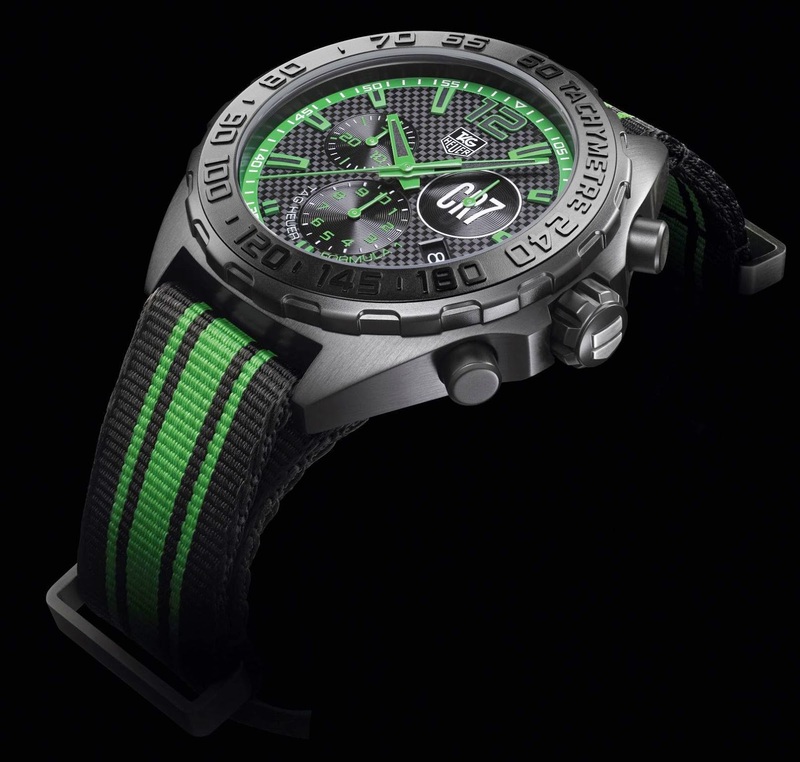 The perfectly matching green and black NATO strap is an integral part of the design of this chronograph, sporting its colours in style. Directly inspired by the nylon straps used by the British Army during the Second world War, it is ultra-resilient and sits perfectly on any wrist. To ensure impeccable quality, the keepers, buckle and pin are made from 316L stainless steel and both the ends of the strap and the buckle holes are laser-cut, with “TAG Heuer” hot-stamped underneath. The completely black bezel, coated with titanium carbide, bears the chronograph’s tachymeter scale. Taking the form of a large ring, it gives this piece real impact, and a resolutely sporty look. The chronograph is accurate to a tenth of a second, with the indication displayed by a small counter at 6 o’clock. The small counter at 9 o’clock displays the chronograph minutes, and the counter at 3 o’clock is for the current seconds. These three small counters are snailed, with their intense, elegant black set against the black chequered finish of the large dial.